SimFresh is a citrus-packing shed that currently produces over a million boxes of fruit every year. It is based in Australia where the Simonetta family started it almost three decades ago. Although the management slowly shifted through the generations, the founders were Joe, Tony, and Mario. These three brothers came from Italy to Australia during the second half of the 20th century. After a while, they decided to start their business alongside their wives. What initially began as a minor basement project is now a family-owned empire. In fact, the Simon Etta Group currently holds the vast majority of Australia’s citrus market. Their business is also known for packaging services and flawless delivery. Amongst the names that continue to build the company up is Larry Simonetta. Directly related to the founders, he currently works at SimFresh as one of the main executives. As the Operations Manager of Simfresh and the Simon Etta Group, Larry Simonetta promotes many concepts that the founders created. Those include things like hand-packaging every single box, delivering on time, and welcoming feedback. After all, the company is known for very low turnover and great customer loyalty. Not to mention that their operations also reach international destinations. 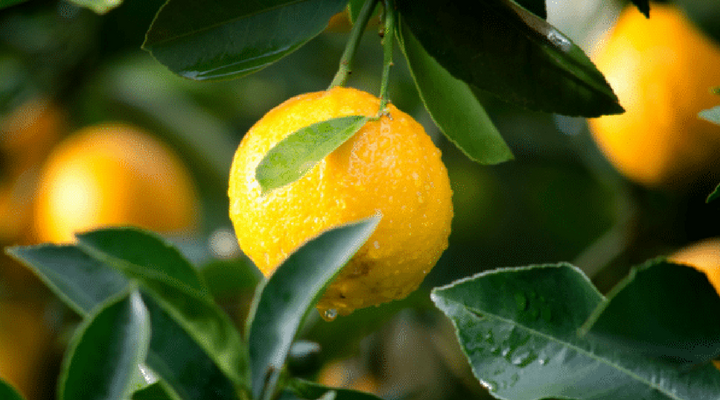 Courtesy of simplified shipping, the organization now delivers citrus products to some foreign countries. In the future, it is fair to say that the output will increase. Even though sending a million packages every year is impressive, the company will certainly achieve even more. I was slowly brought into this business by the rest of my family. A lot of my cousins worked here before I did and that motivated me to start. The family appeal is also what continues to be the main source of inspiration for me. We are a product-based business that sometimes takes minor packaging projects. So, we make money by producing citrus packages and selling them to buyers. In my case, it took about a year before my ideas started yielding profits. Although it was not much at first, it was enough to recognize my efforts. Nowadays, I mostly focus on improving our operations. Our earnings are not my direct concern as we have other people who work in that area. I never doubted this company. I did, however, question my ability to meet the high standards. The founders of our enterprise did not make it easy to walk in their footsteps. They worked extremely hard and achieved something remarkable. So, my biggest concern was that I would disappoint. I mostly deal with the matters inside our organization. Thus, the customers that I interacted with were all our previous buyers. Online media is helping us minimize the barriers to entry in most markets. For those unfamiliar, joining a new market is difficult because of the existing competition. In our case, however, we have the goods to match the needs of many people. So, even when there is competition in the area, our online campaigns help us reach new buyers. I recently decided to work on the management side of our business. That came with a noticeable decrease in client interactions that I have. Although it was tough at first, I got used to it by now. We meet the expectations. People and small business that work with us are usually our long-term partners. As such, they demand a high-level performance. Fortunately, we found ways to streamline our business model and always stay on track. Closing large deals is always satisfying. Even though I was only able to complete a few thus far, I enjoyed bringing new customers to our company. We are hoping to expand even more. Right now, we are one of the largest companies in this industry in Australia. In the future, however, we want to have operations all over the globe. Thus, I am very excited to see what we are going to do about meeting this goal. “Nonsense: The Power of Not Knowing” and “H3 Leadership” by Jamie Holmes and Brad Lomenick, respectively. I bought gift cards for some of the employees. It was a minor token of appreciation that went a long way. Do you see yourself anywhere outside of your family’s company? Although it is theoretically possible, I doubt that I will leave the business. I enjoy my job and love everyone that I work with. I could maybe have a similar role somewhere elsewhere, yet I have no reason to look. So, yes and no. Although I can see myself doing something else, I will probably never leave our company.